Budget Blinds of the North Island is having a scratch-and-save sale this July that can earn you 25-40% off your order. With summer heating up, consider new window covering to keep your home cool – you’ll save on your purchase and save on heating and cooling costs in your home with the right blinds, shades or curtains. 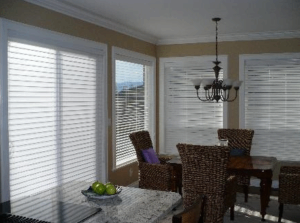 Honeycomb shades are designed with honeycomb-shaped cells, which are designed to enhance your home’s energy efficiency by keeping air from escaping or entering your home. Visit the showroom at 8 – 2663 Kilpatrick Avenue in Courtenay, call 250.338.8564 or request a free in-home consultation online.